In the year 1983 BIOREF GmbH was founded in Homburg / Saar (Germany). Since that time BIOREF organizes proficiency studies especially for tumor markers. 1985 BIOREF moved to the present company location (Moembris, Germany) - 50 km east from Frankfurt International Airport. 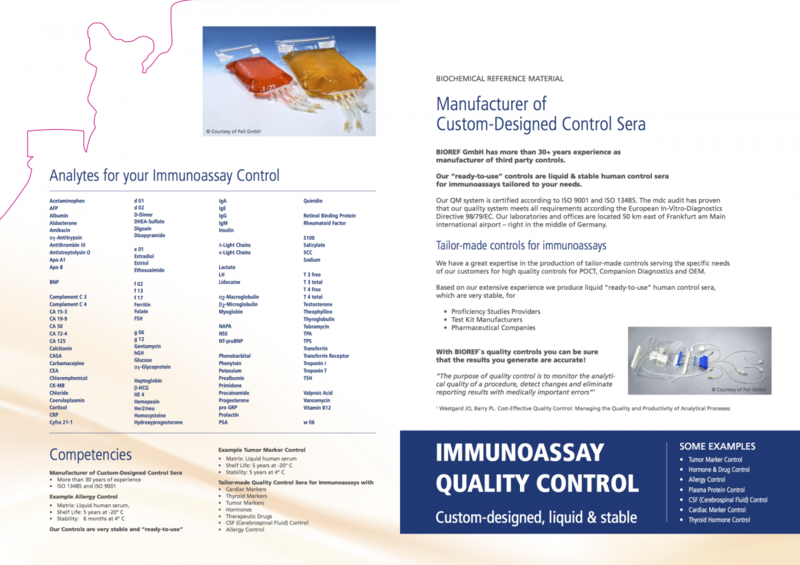 Since 1997 BIOREF also produces control sera for hormones and drugs (HD 50). The product range was expanded several times - now also control sera for cardiac markers (IM 5), thyroid hormones (TH 6) and plasma proteins (PP 15) can be offered. The newest products are POCT Cardiac Marker Control Serum PC 10, Multi-Analyte Allergy Control Serum AL 20 and CSF (Cerebrospinal Fluid) Control LQ 10. The external surveillance of the quality management system is performed by MDC Medical Device Certification GmbH (Stuttgart, Germany), which is specialized on the certification of quality systems in medical device industry. The aim of BIOREF's quality policy is to supply the customers with high quality products in order to contribute to the maintenance and improvement of the customers' quality systems. 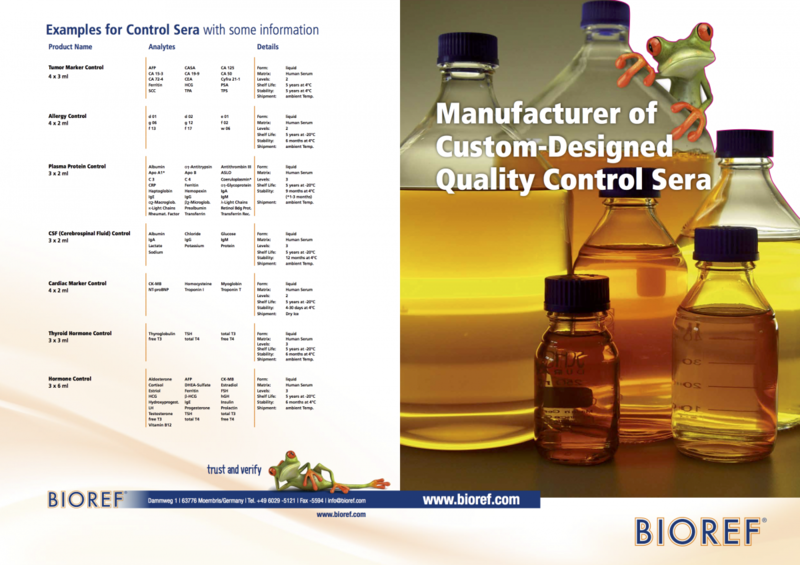 BIOREF manufactures the READY-TO-USE Control Sera in our production laboratory by applying a special production procedure. Please contact us if you wish to receive any further information.